The Nicola Naturalist Society, working under the guidance of BC Parks and professional herpetologists from Biolinx Environmental Research of Victoria, has been involved for the past two years in an important project at Kentucky Alleyne Provincial Park, near Merritt. West Pond in this park is an important breeding site for the Western Toad, a species of conservation concern in Canada. 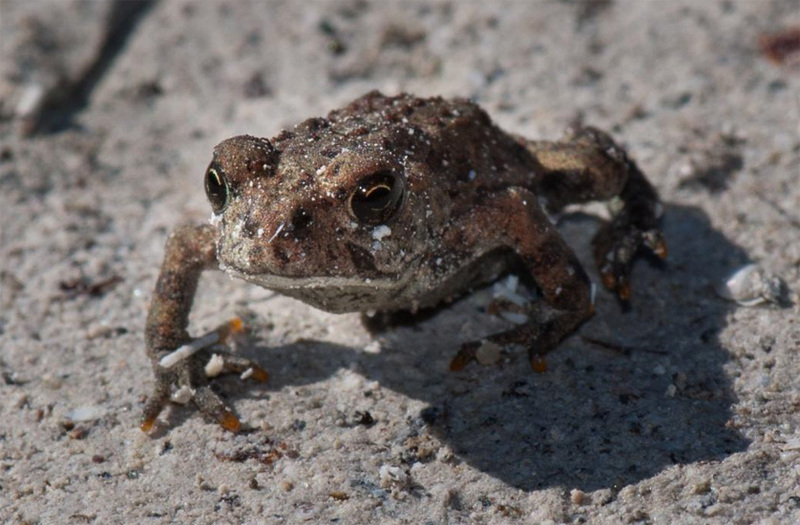 In summer, tens of thousands of tiny young toadlets emerge from the pond to migrate to the forest areas where they will live for the rest of their lives, returning to the water only as adults to breed. In 2013 BC Parks installed an enviro-culvert (donated by BC Timber Sales) to provide a safe crossing for the toadlets under the campsite road. BC Parks once again provided PEF funds to help Nicola Naturalists and Biolinx monitor the effectiveness of this new tunnel. Nicola Naturalist volunteers helped install a low fence to channel toadlets under the tunnel, and spent many days monitoring the numbers of toadlets along the fence, at the tunnel and on the road. Our work raised a lot of interest among the campers and visitors at the park and provided an excellent opportunity to discuss the Western Toad situation and the conservation of amphibians in general. A poster sign is being produced to provide a permanent source of this information to park visitors. 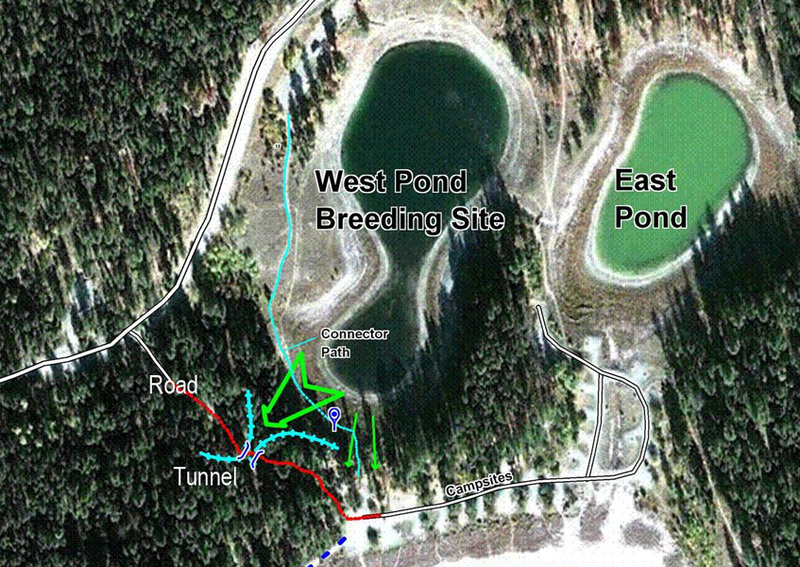 Map showing the location of the enviro-culvert (tunnel) and the movement of toadlets through the tunnel at Kentucky Alleyne Provincial Park. For more details download our 2013 report – link on this page. Map courtesy Biolinx Environmental Research Ltd. This entry was posted in Features, Projects. Bookmark the permalink.